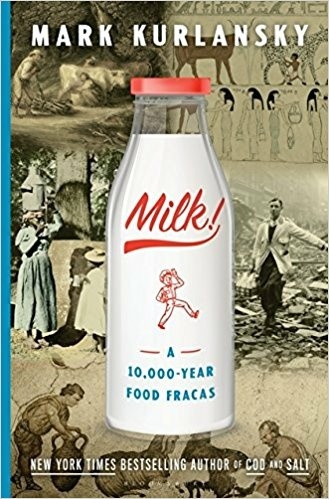 The award-winning author of individual theme books on salt, cod, paper and more, is now releasing a new publication about everything you always wanted to know about … milk! Milk is not just commonplace and omnipresent. It is controversial and forms important debates on topics ranging from breastfeeding to agriculture to the world's most regulated food. It's also fun, thanks to the fascination of the author Mark Kurlansky for the topic. His dedicated research deals with questions such as: How did man begin to consume the milk of other mammals? Who invented milk powder? Where did the French get their béchamel sauce? And was Thomas Jefferson's favorite dessert really Baked Alaska? Kurlansky joins the host Larry Mantle to learn all about the entertaining story and the dispute of milk in "Milk! A 10,000-Year Food Fracas." The book also includes special recipes – such as macaroni and cheese from the 18th century !